Please note that this application is not compatible with either iPhone 4S, iPad 2 nor iPod 5th generation devices. Make the difference behind enemy lines with Tom Clancy's Ghost Recon® Wildlands HQ. 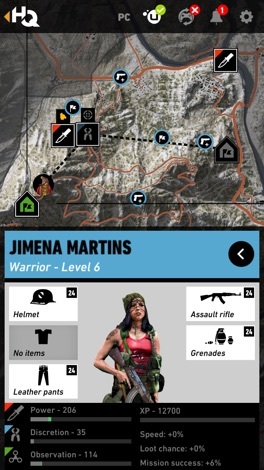 Be connected to the Wildlands anywhere anytime with the Tom Clancy's Ghost Recon® Wildlands HQ app for Apple phones and tablets. All the tools you need to manage your military operations in Bolivian territories are available to you in this personal headquarter. 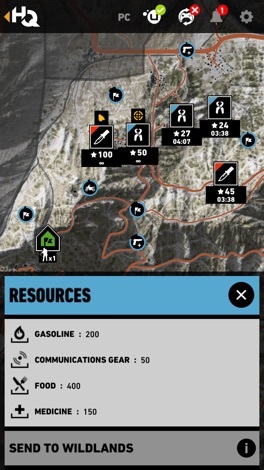 Tom Clancy's Ghost Recon® Wildlands HQ can connect to Tom Clancy's Ghost Recon® Wildlands while you are playing the game. Access the Ghost Satellite view to follow real time intel and use them to create your tactics in Solo or Coop. Send the resources gathered thanks to your rebels in the Guerrilla Game mode to make your Ghost progress faster in the game. 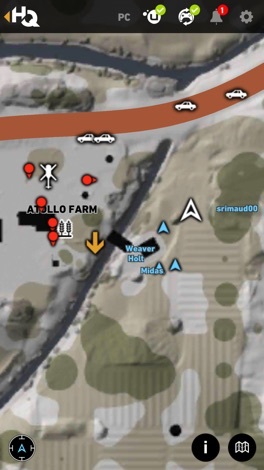 Tom Clancy's Ghost Recon® Wildlands HQ is even compatible with the Ghost Recon Network. Be informed in real time of the latest news about the game and do not miss any piece of Tom Clancy's Ghost Recon® Wildlands experience. Stay in touch and plan your next game sessions with your friends and your Task Force members thanks to a cross-chat functionality, also available on the Ghost Recon Network. 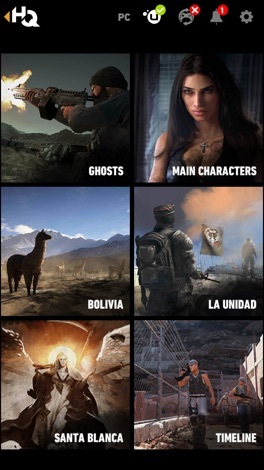 In the Guerrilla Game mode, discover the story of the Bolivian Rebellion before the events of Tom Clancy's Ghost Recon® Wildlands. Play the role of Karen Bowman, a CIA agent operating under non-official cover as an international aid worker of an NGO in Bolivia. Your mission will be to build a network of operatives around the country to combat the growing influence of the Santa Blanca drug cartel, as well as placing a deep cover agent within the cartel itself. Recently, your NGO, Hands Over Bolivia, was accused of espionage by the Bolivian government and kicked out of the country. Now alone, you must use your network to ignite the fires of revolution, recruiting brave men and women who are willing to fight to free their country from the clutches of Santa Blanca and La Unidad. Last but not least, learn more about the world of Tom Clancy's Ghost Recon® Wildlands and its factions with the CIA files. Know your enemies before confronting them. GUERRILLA GAME - Send your rebels to accomplish missions in Bolivia, find equipment, upgrade their stats and discover their personal story. Get resources for your version of Tom Clancy's Ghost Recon® Wildlands and synchronize them while playing the game. Welcome to the official App for TPC Stonebrae Country Club that connects Members with the Club on their mobile device. With this App Members can book tee times, dining reservations, reserve Tennis and Bocce Courts, view the Member Calendar, Statements and more. AUS ART is an Australian based small business e-commerce store for selling art. It prides itself on great customer support and state of the art technologies with the best quality of products only used.